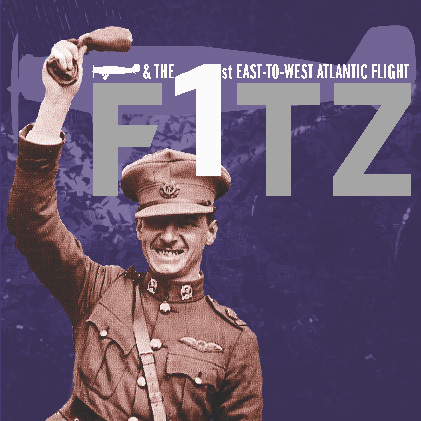 A major new exhibition at the Dunamaise Arts Centre in October will salute Colonel James Fitzmaurice, the Irish airman affectionately known as ‘Fitz’, who flew into aviation history by co-piloting the first aeroplane to successfully cross the Atlantic in a westerly direction. The 90th anniversary of the momentous flight will be marked with a weekend of events in Portlaoise, starting with a celebration evening at the Dunamaise Arts Centre on Friday 5th October, including the formal opening of the exhibition, presentations on the flight and the people behind it, and screening of archive footage. The following day, October 6th, will see a fly-past in Portlaoise with historic aircraft by members of the Irish Historic Flight Foundation, established in 2014 to promote the historical aspects of aviation in the State. The fly past will use historic “chipmunk” aircraft, and the event will also feature a guard of honour and wreath laying in memory of the aviators at County Hall, Portlaoise. Fitzmaurice Place – named in honour of Col Fitzmaurice – is currently being upgraded as part of the Heritage Council-funded urban regeneration works in the centre of historic Portlaoise. The exhibition of original artefacts from the flight and new works in response to the achievement will be curated by artist, Brendon Deacy, at the Dunamaise Arts Centre for the month of October, in recognition of Fitzmaurice’s accomplishment. Relatives of all three of the courageous adventurers have enthusiastically accepted invitations to attend the Portlaoise events. The commemorations have been spearheaded by Teddy Fennelly of Laois Heritage Society, who literally wrote the book on the subject “Fitz and the Famous Flight” and has supplied memorabilia for display as well as acting as historical advisor to the commemorations. On the 12th of April 1928, the ‘Bremen’ took off from Baldonnell Aerodrome outside Dublin with a crew of three: Fitz, Captain Hermann Köhl and Baron Von Huenefeld. Thirty-six hours later the world changed as they landed on Greenly Island, Canada. 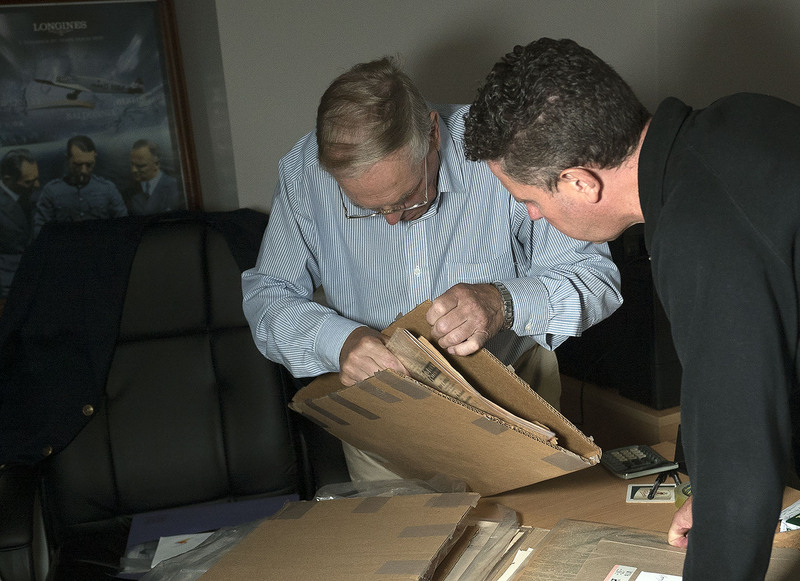 Fitz’s thrilling life story, from his formative years in Laois to his fearless flight and legacy, is told through original artefacts, information-panels and short films designed and curated by Artist Brendon Deacy. The international dimension of the flight is being celebrated as well, with relatives of the German aviators, and representatives of flying clubs in Bremen in Northern Germany scheduled to attend. 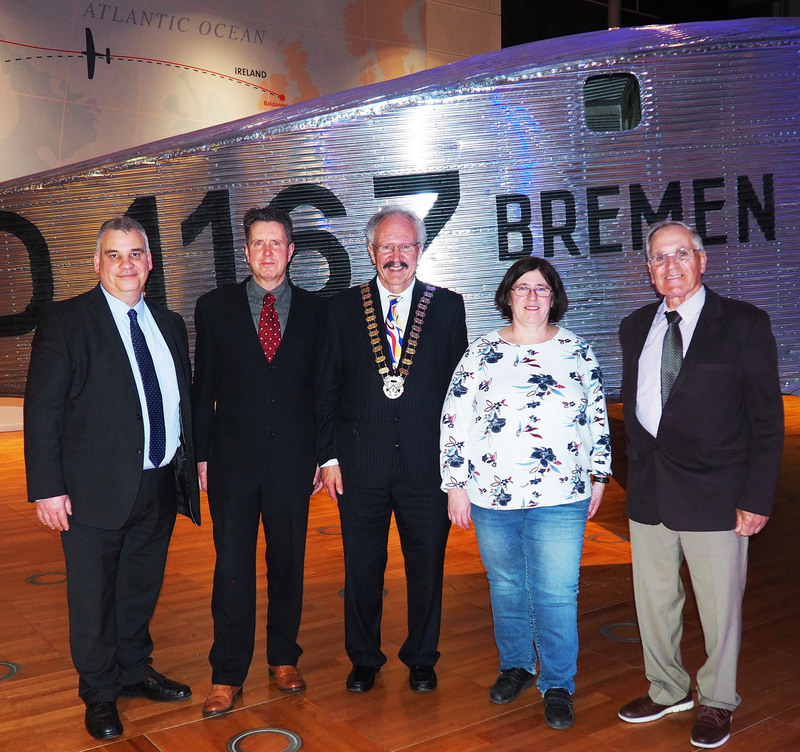 In April of this year a Laois delegation made up of then Cathaoirleach Padraig Fleming, author Teddy Fennelly, Heritage Officer Catherine Casey, artist Brendon Deacy and MDA Manager Patrick Buggy attended the ninetieth anniversary celebrations of the flight in Bremen, where the original aircraft has been restored and is on public display. Since then, close links have been developed with representatives from across Germany, in celebrating the joint Irish German achievement. 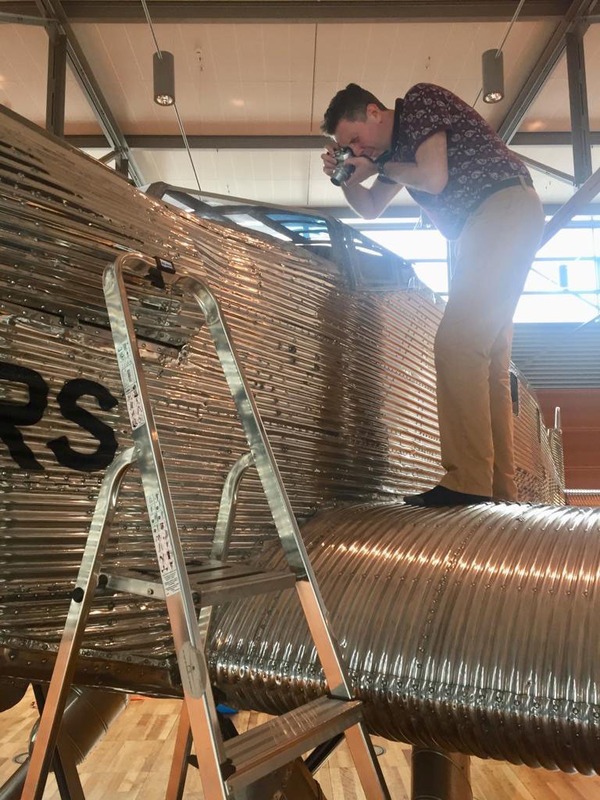 Michael Parsons, Chair of the Heritage Council, who is on the Fitzmaurice Commemoration Committee, said “in this European Year of Cultural Heritage, it is fitting that the aviation heritage of Ireland and Germany is being commemorated in this co-operative way. The theme of the European Year is connecting local communities with their heritage, and the Fitzmaurice commemoration is a great example of how these connections are being made across Europe. The Heritage Council is delighted to be able to support the events and the exhibition”. Attendance at the events on 5th and 6th October is free and all are welcome. For more information on the event and to reserve your ticket, please contact the Dunamaise Arts Centre, 057 866 3355, www.dunamaise.ie. Brendon Deacy’s exhibition runs at the Dunamaise Arts Centre from October 1st to 25th. The commemoration of Col Fitzmaurice and the first East- West Transatlantic flight are supported by Laois County Council, the Heritage Council, Creative Ireland Laois, Laois Heritage Society and the Dunamaise Arts Centre. This is a project of the European Year of Cultural Heritage.